I would 100% recommend this company!! Ian did an amazing job, thank you so much. I'm so glad I've found this company. Professional, quick and a very good price. I cannot praise this company enough. You cannot tell that there were any scratches in the first place. You did fantastic! Thank you!! Excellent service from Ian Stott. My car looks amazing, it's impossible to tell where the scratches were. Fast and professional, I would recommend this service to anyone. 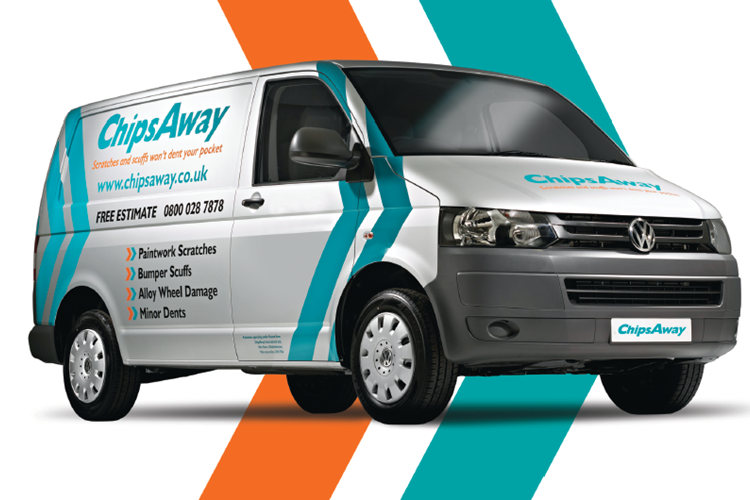 Good communication, great paint repair, highly recommend ChipsAway. I would recommend Ian Stott @CHIPS AWAY without reservation to anyone. He did an excellent job on my car at a very reasonable price.Great communication throughout. Used Ian Stott from Chips Away Harrogate twice now. Reliable, excellent repair satndard and very cost effective. Quick response to first contact. Quick response with quote. Arrived on time and was finished within estimated time. Excellent job done - can't see any sign of damage and blended in perfectly. Looks like new. We used the website & it forwarded to Ian Stott, the Harrogate area operator. Ian phoned the next morning, explained the process and asked me to email photographs per his instructions. We received a quote pretty quickly and called to arrange for the work to be done. Ian turned up promptly on the day and set about the job. He is very ... Read more pleasant to deal with and did a fantastic job. I have no hesitation in recommending him and ChipsAway based on this experience. Hello Ian, A sincere Thank You for the excellent work which you carried out on our vehicle today. We will have no hesitation in recommending you to our friends and work colleagues should they ever need your services. A very professional job and we are highly delighted with the result.Wishing You continued success with your business. Following a bump from my neighbour, I was keen to get this repaired as soon as possible and to the best standard. Contacted ChipsAway Harrogate and Ian gave a fantastic level of service from start to finish. Had a possible problem living on a terraced street and not having off street parking. But Ian worked with me and we found a ... Read more solution. Can not recommend Ian at ChipsAway Harrogate highly enough. hopefully won't have to use him again but if I do have any requirements we will be straight on the phone. I cannot recommend Ian Stott of ChipsAway Harrogate/North Yorkshire enough. From my initial enquiry through to completion of the job Ian was professional and courteous throughout. The work he completed on my car was top class and he went above and beyond my expectations. Ian Stott from Harrogate was first class. Very helpful, professional and work carried could not have been better.